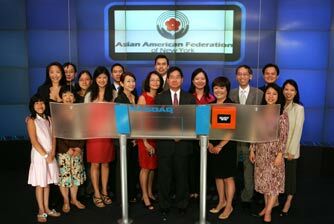 Asian American Federation Opens NASDAQ Stock Market! Asian American Federation Chairman Jeffrey Chin Rings the NASDAQ Stock Market Opening Bell. © Copyright 2007, The Nasdaq Stock Market, Inc.